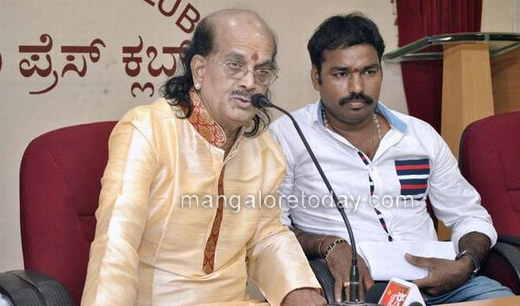 Mangaluru, Sep 27, 2017: Eminent saxophonist Kadri Gopalanath has decided to get two toilets constructed for the Government Primary School at Bengre. The total cost of the project is around Rs 80,000. The school which is 98 years old presently has one toilet. Kadri Gopalnath who spoke to media men here, said he had received a letter from Prime Minister asking him to support the Swachhata Ki Sewa under the Swachh Bharath Mission. The artiste also said he was also willing to hold a concert as a fund raising initiative for Swachh Bharat projects. The foundation for the construction of the toilets will be laid on September 27, Wednesday.